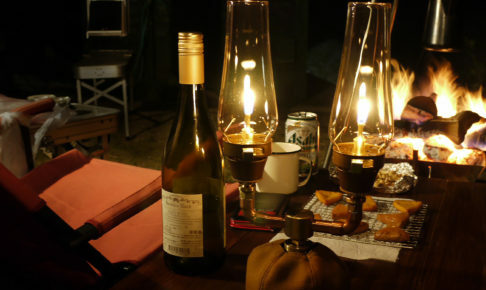 shining star of camping meals? 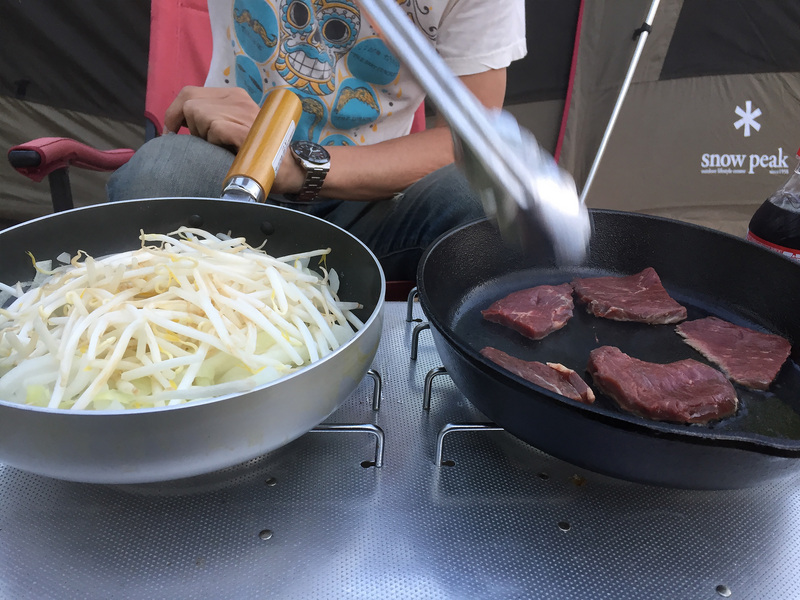 It is said that the main cast of camping meals is the meat and I totally agree with that. I personally believe that most people have the best smiles while eating meat. Humongous hamburger or spare ribs or tender stew… You may want to try the way you wouldn’t try in everyday life, such as roast beef roasted whole chicken. Believe or not we Japanese in selected area eat chicken sashimi and horse sashimi. Yet the most popular way to munch at some meat should be simply the barbecue or steak. You are able to eat them right away without special cooking. And gathering up around the grill and all you do is eat, drink, eat and talk. It just taste a hundred times better! I have never broiled the meat. I know that broiled meat which excess fat is dripped down taste so good. The correct way of eating meat. 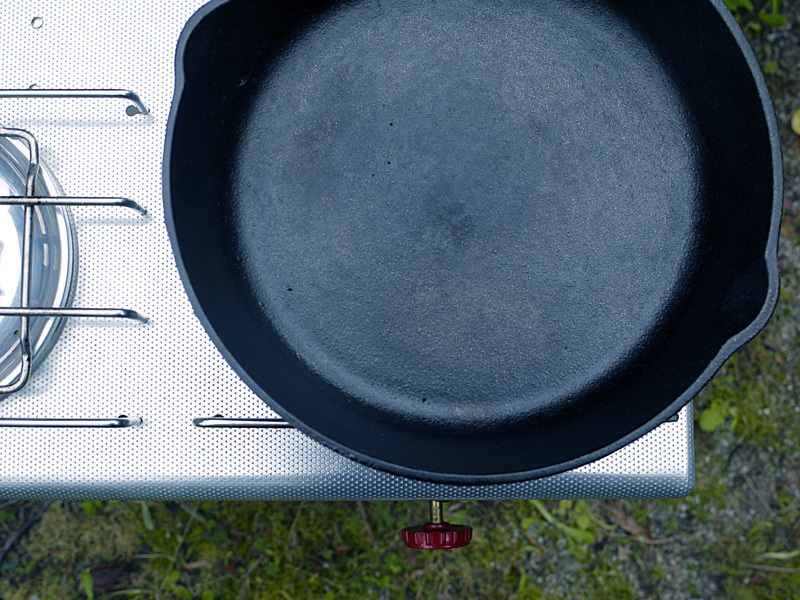 However I use Lodge skillet to grill meat on my old picnic stove 5409 by Coleman. The splashed olive oil around a skillet is so lovely. Even thick steak or thinly sliced, I feel that the surface of meat gets crisper and tenderer inside. In addition, a skillet you have taken care of must make meat taste even better. 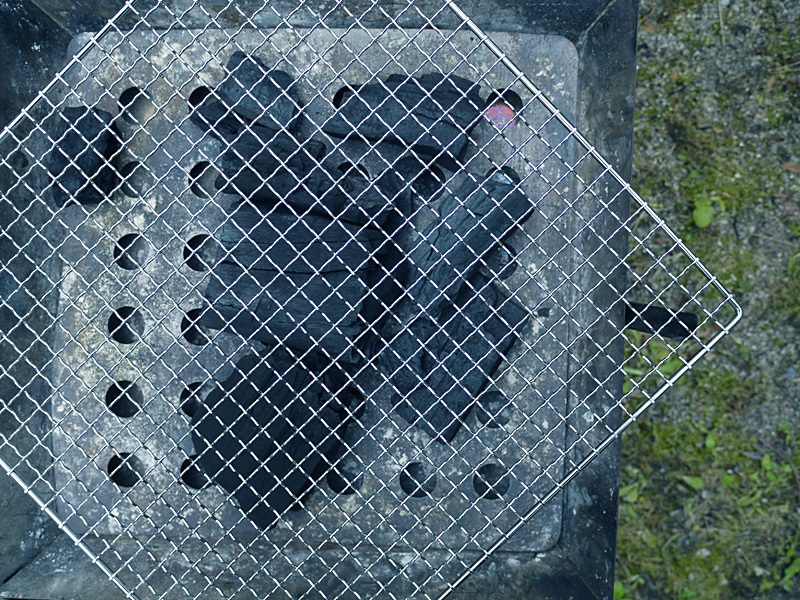 When broil, charcoal is normally used for better result. But think about it! 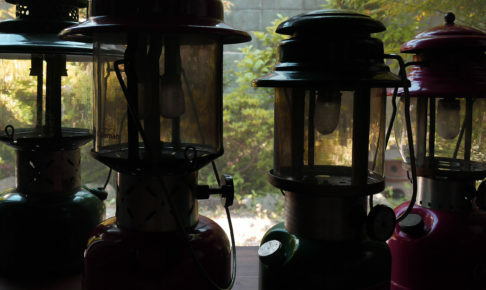 You constantly need to control the flame so that you sometimes lose an opportunity to have some meat broiled right. Charbroiling should provide the pleasure of camping, but hey, I want to concentrate to grill without any hustle, and enjoy some meat! 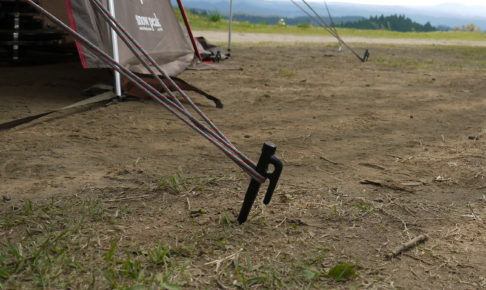 Whole camping, you may want to avoid the daily routine such as doing dishes as much as possible. Imagine the mess on your barbecue grill. Charbroiling becomes the chaos because of the charcoal covered with grease dripped from meat. This lets you work on cleaning it for a good 30 minutes after the meal. On the other hand, if you use skillet, all you do is rinse it with hot water, dry it and apply some olive oil. That is it! Hey, this means there is plenty enough time to enjoy more activities!! 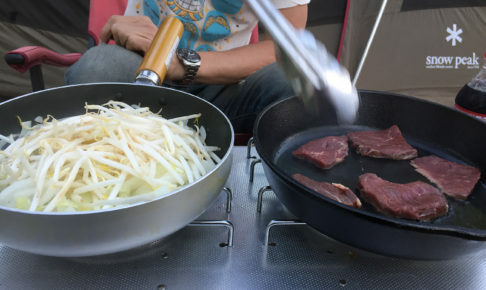 Grilling the meat on pan may seem the same as everyday cooking. But hold your grown skillet and slap some meat on it!! Any kind should do the job. 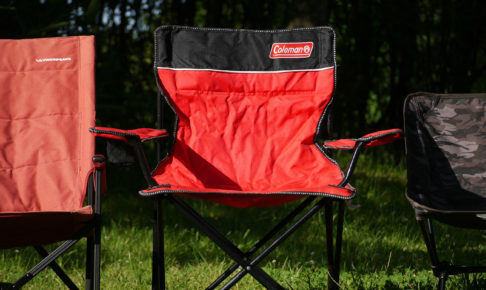 Use Coleman or Lodge or Petromax or whatever you have. Try it at home first. It is really good.